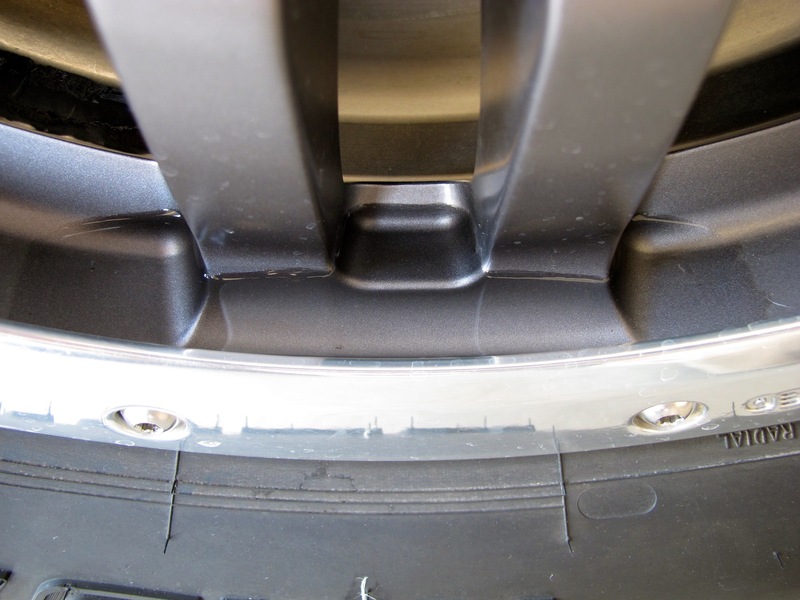 For 2007 and newer Tundras the only OE 17-inch wheel is the forged aluminum TRDs with fake beadlock rings, part of the Rock Warrior package. In my previous post I said I prefer my OE aluminum rims, and I do, but I do have a few gripes with these Toyota wheels. With my original set I immediately noticed that adjusting the tire pressure is a pain. There’s a cutout in the aluminum ring to access the valve stem, but clearance is still poor. There is little room for fingers, a tire chuck, or a gauge when checking and adjusting the pressure. They also hold water, ice, and mud, helping unbalance the tire. Strike 1. The bling ring is secured with twelve screws, and they must be removed to mount or dismount a tire. I don’t trust tire shops to do this carefully, not strip any threads, nor scratch anything. Even when doing this myself recently, I cross-threaded one stainless screw upon reinsertion. 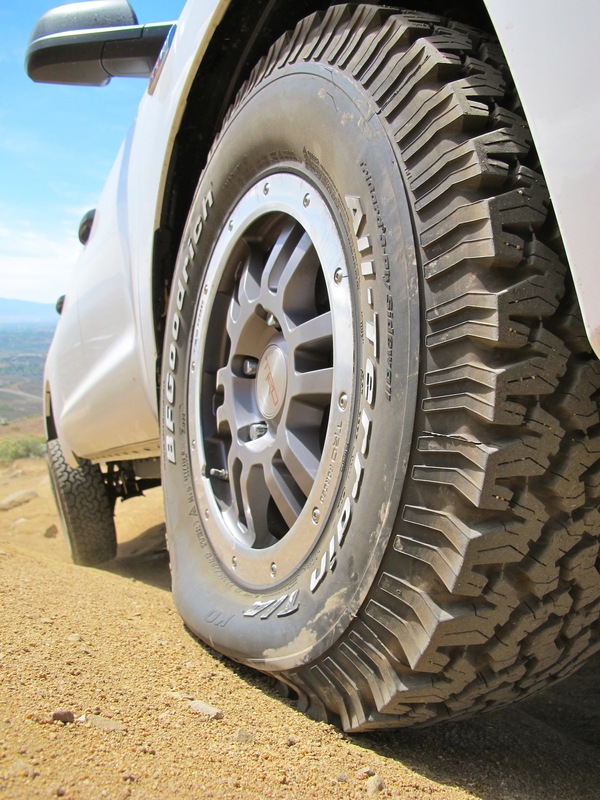 These things are a pain, particularly for The Tire Meister who plays with tires more than your average gearhead. I looked into removing the rings and filling the holes with shorter screws…the screws would be so short I’d have to have them custom made. Strike 2. 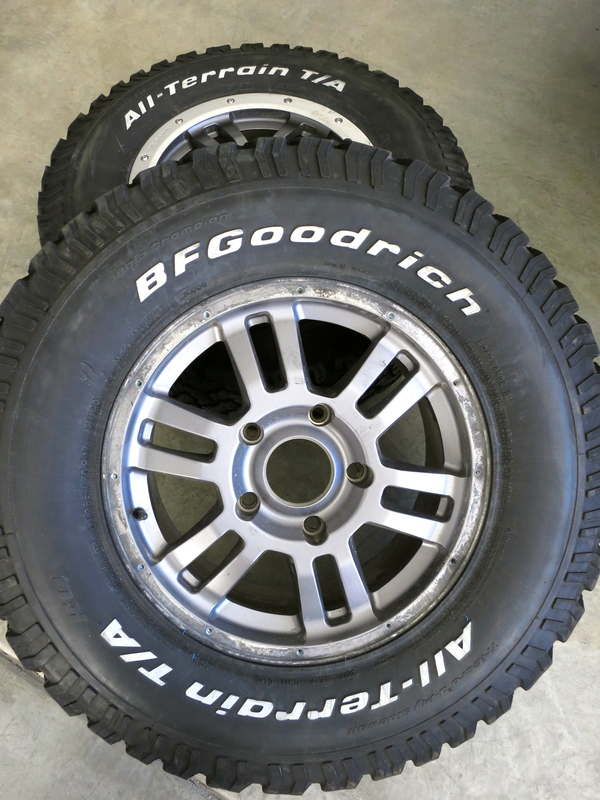 Though the beadlock rings are fake, I thought they might protect the lower edge of the rims from trail damage. After one recent remove & replace session I noticed damage to the powder coating under the ring. 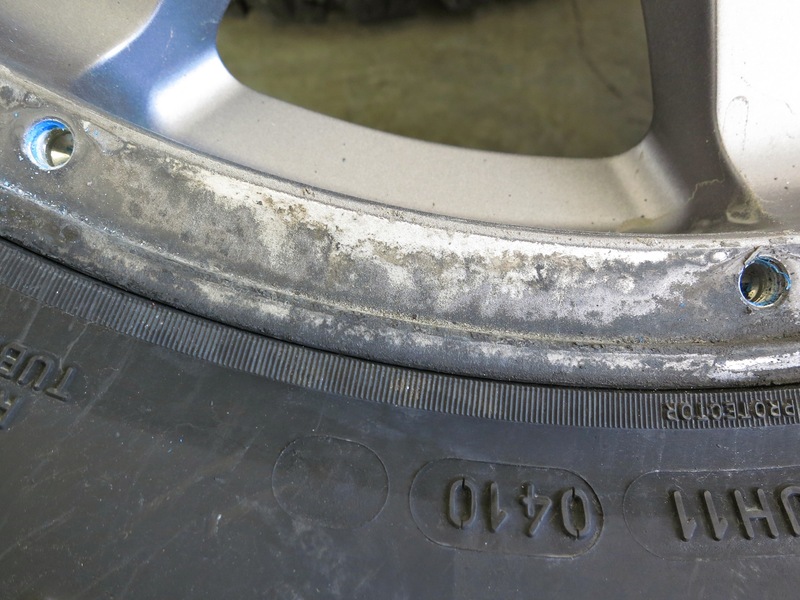 Seems that even on a newer truck with only a few thousand miles logged, which is washed and kept clean, debris between the ring and the wheel causes damage. Strike 3. Fired! The 21,000-mile take-offs I just purchased had never been rebalanced, the original wheel weights were still attached, and I’m pretty sure the rings had never been removed. Look at the rim damage near the bead after 21k. My solution…no ring, no bling, bada-bing. Soap and a brush didn't help. Started to use brake clean. Nope, they're spares.